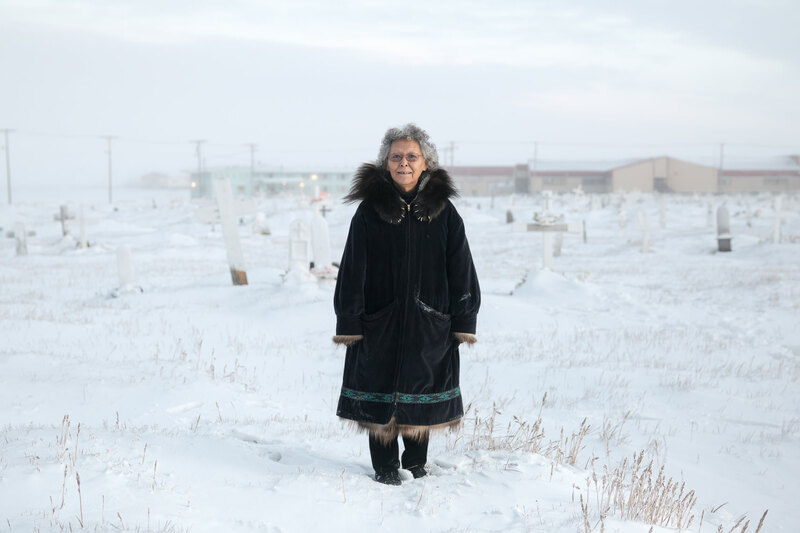 Elder Fannie Akpik stands in front the Barrow cemetery, where many of her family members rest. When Christianity was adopted by the Iñupiaq, it marked a major change for the culture. Today, the social forces of global media and communication mark another cultural pivot. Fannie Akpik is a strong advocate for regaining cultural identity and language through education in Iñupiaq schools.